Our Deathrattle Rogue deck guide goes through the ins-and-outs of this popular deck from the Rastakhan’s Rumble expansion! This guide will teach you how to mulligan, pilot, and substitute cards for this archetype! 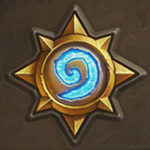 The Boomsday is upon us, and many fresh archetypes are out on the hunt to redefine the meta game. One of them is Deathrattle Rogue, a list that relies on crazy tempo swings caused by deathrattle minions and spells. What started as a more “fun list” back during Knights of the Frozen Throne may turn into a serious contender for one of the top Rogue archetypes in the early Boomsday weeks. 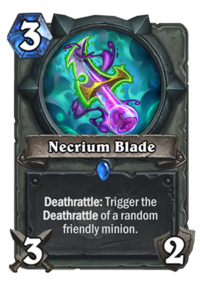 Many new cards like Necrium Vial and Necrium Blade made it into the deck thanks to their incredible deathrattle synergy, but not only that: Some of the new mechs round out Deathrattle Rogue’s ability to create both threatening and sticky board states. 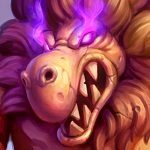 We’ll be updating all of our guides for Rastakhan’s Rumble in the near future! Check out alternative versions of this deck on our Deathrattle Rogue archetype page! As already said, the Deathrattle Rogue archetype has been in the works since the early KoFT days. Sadly, it never really took off, mostly due to the incredible power level of other Rogue archetypes like Miracle or Tempo Rogue. But as we all know, it often takes only a couple of cards to push an archetype over the top to become a meta-defining deck, and exactly that will happen with Deathrattle Rogue after Boomsday. The general approach of this deck heavily depends on its different matchups. Sure, triggering your deathrattle minions and spells will eventually win you the game, but the “how” is much more important. Let’s start off with the core cards of every tempo-based Rogue list: Fire Fly and SI:7 Agent will try their best to give you a solid lead in the early game. That way you will be able to focus on multi-turn deathrattle setups while still maintaining board presence. Backstab will provide additional early game, especially against hyper-aggro lists like Zoo Warlock. Elven Minstrel, one of the most valuable Rogue cards in the new Standard year, is nothing else than the perfect include in our minion-heavy list. Due to the nature of a combo card, it is imperial to always have a cheap mana card in your back pocket to be able to build up the combo if possible, not at last because Elven Minstrel is the only card draw mechanism in the deck. Besides those more tempo-oriented minions we have the four deathrattle minions that lead the way to victory: First off there is Devilsaur Egg; one of the most iconic deathrattle cards have been eggs in the past, and the common Warcraft fantasy behind eggs and their much more dangerous content has been perfectly transported to Hearthstone nowadays. In addition to that, Devilsaur Egg delivers just the right amount of early threat so that it can not be ignored against our type of deck. Next off we have two new mechs, Blightnozzle Crawler and Mechanical Whelp. Wait, mechs in a Rogue deck?! You heard it right. The Boomsday Project introduced tons of new mechs, and with them are these beautiful high-value deathrattle minions that found their way into Deathrattle Rogue. 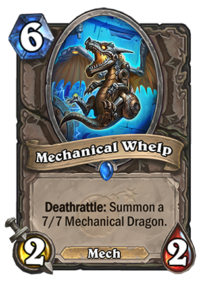 Similar to Devilsaur Egg, Mechanical Whelp is our ticket to fill the board with big threats; Blightnozzle Crawler on the other side serves as a backup plan against early threat thanks to the poisonous deathrattle effect. What really makes these two low-tempo but high-value minions inherently stronger is one of Boomsday’s new neutral legendaries, Zilliax. Many deathrattle archetypes in the past relied on heavy board buffs like Fungalmancer and Defender of Argus. Deathrattle Rogue has other ways to enable the board, and Zilliax is more than enough to directly interact with our new mechs, may it be through aggressive trading, or as a life insurance thanks to its lifesteal effect. The last of the four deathrattle minions is Carnivorous Cube. Arguably the minion with the biggest influence on the Year of the Raven as a whole so far, it provides our deck with even more amounts of possible deathrattle into deathrattle into deathrattle effects. Most importantly, it can easily deflect big board clears; for example, in case of a well-timed Carnivorous Cube, an otherwise deadly Doomsayer turn can instead leave a heavy board state behind. But now to the really juicy new parts of the deck, Necrium Blade and Necrium Vial. The fact that these two cards can create abnormous swing turns in the early and midgame allowed the Deathrattle Rogue archetype to take this tempo-oriented approach in the first place. 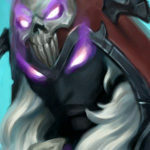 Necrium Blade is an excellent weapon on its own, and the deathrattle effect only multiplies its strength in this list. The ability to coin out this weapon and trigger Devilsaur Egg on turn 4 can win you a good amount of games. Weapon removal isn’t as present as it was in the past, and that adds a lot of versatility so that you can keep the last weapon swing for a Mechanical Whelp trigger as well. 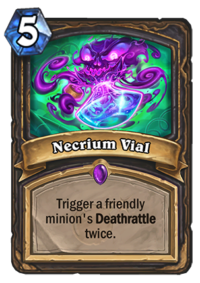 Another new swing card is Necrium Vial. Myra’s second invention looked like an expensive and very specific Rogue spell right after its reveal. The fact that it is now a staple in Deathrattle Rogue shows that the archetype waited for this particular card. Depending on your board state over one turn, this can result in two 5/5s, two 7/7s, four 5/5s or four 7/7s. Doesn’t sound too bad for a 5 mana spell, right? Last but not least, Leeroy Jenkins and Cold Blood fill out the deck’s purpose to end the game after huge board swings in the early and mid game. Thanks to the great versatility of the deck, a lot of tech inclusions can be made which will be discussed further in the tech card and replacements section! Long story short, you have to hit that Fire Fly during your mulligan. Everything else is secondary, as you need to have early board presence against those aggro bullies like Zoo Warlock and Odd Rogue. Try to get a copy of Backstab as well. Other than that, you need to take a lot of bad trades and face damage to maintain board pressure. An early Zilliax drop and SI:7 Agent tempo plays can get you through the mid game some times, but don’t expect as many wins against aggro archetypes, especially if they draw well. Apart from Token Druid, those matchups really suit you. All mid range decks need a lot more ramp up time, and so do we. As already said, Token Druid will be the exception to the rule, but decks like Bomb Hunter or Spell Mage should be very favorable matchups. These are the matchups we are looking for! Decks with lots of board clear hate to play against deathrattle archetypes because they trigger Devilsaur Egg and Mechanical Whelp on a regular base. Try to mulligan for eggs and Necrium Blade to get the early game lead. Don’t hesitate to aggressively eat minions with Carnivorous Cube in case of sudden board clear! Cavern Shinyfinder: A great card as a one-of to guarantee the turn 3 Necrium Blade play, which makes our early game much more consistent. Prince Keleseth: The inclusion of Keleseth makes the list a bit less versatile. We lose Eviscerate and, if you run it, Sap as well. Our devilsaurs and mechanical dragons don’t get the Keleseth buff on board of course, and that is why you’d need to run a n even more minion-focussed list in general to make his inclusion worthwhile. Sap/Eviscerate: Those spells make our list way more versatile. They let us play into a value-driven mid game with eggs and whelps without getting punished too hard. As already said, the inclusion of these spells depend on the occuring meta game. Void Ripper: The nut card against any Druid archetype, not less and not more. It also turns our eggs into devilsaurs, which can be beneficial in some cases. However, remember that we actually want to trigger eggs with one of the Necrium cards for maximum value! Vilespine Slayer: The overlord of Rogue tempo cards is not played in every version of this deck. Why? Because our deathrattles can create enough board momentum eventually. 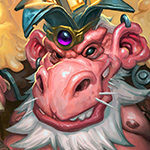 However, if the meta gets greedier and greedier, Vilespine Slayer becomes more and more valuable. Myra Rotspring: Myra is a very interesting minion, and it can work wonders in a value-oriented matchup. However, it’s just too inconsistent in the long run, which will get punished especially in our already bad matchups. Deathrattle Rogue allows a lot of tech inclusions, and if you have unpacked it, play it and see if it works for you! Considering Vilespine Slayer will be out in a few weeks, is plague scientist a good replacement? Do you think spirit inger umbra would fit in this deck? I saw multiple people having it in thier dethrattle rogue decks a while back. However withe the rise of decks such as Zoolock and Odd paladin its way too slow for the current meta. Allthough you could try it out if yu have her. I have had some major success with her in my deathrattle rogue. Sonya + Blightnozzle Crawler / Giggling Inventor is an awesome combo for this deck. Can I replace 2 Void reaper for Myra Rotspring and 1 Mossy Horror? Also, is Sonya good in Deathrattle Rogue? Sure thing, that’d be decent tech inclusion. I also don’t think that Sonya is very good in this particular list! Is the new legendary that bad that you wouldn’t even use it in a deck that it was specifically made for? Try it out and see for yourself! I tried it and it wasn’t consistent enough for me. Like you said, it’d be the perfect minion for the deck, but it has two weaknesses, poor stat line and a very random effect. Make it either a 4/3 or “Discover a Deathrattle minion from your DECK” and it could be one of the best Rogue legendaries in history.